King British Disease Clear is a veterinary medicine containing silver proteinate. This is a broad-spectrum treatment that is helpful against most bacterial & fungal infections. Particularly recommended to keep torn fins, damaged tissues or gills from becoming infected after bullying. Also good as a precautionary treatment if introducing new fish. Suitable for both coldwater & tropical aquariums. Active ingredient: Silver proteinate 0.151% w/w. One 100ml bottle will treat up to 900 litres of tank water. Using the formula on the carton, carefully calculate the volume of water to be treated making adequate allowance for the displacement of water by gravel, rocks & equipment. Shake bottle well, immediately before use. 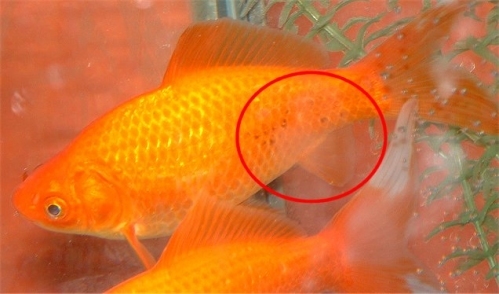 Using the pipette add 1ml of Disease Clear for every 9 litres (2 gals) of water, directly into aquarium water. Alternatively, add 1 capful (4ml) of Disease Clear for every 36 litres (8 gals) of water. Repeat treatment every 3-4 days while symptoms persist. Warnings: Avoid contact with skin and eyes. Wash off any splashes immediately with clean water. Wash your hands with soap and water after use. Keep away from pets. Keep away from food and drink. This product will stain if spilt. Not to be used with other fish treatments or medicines.